My clients expect good advice and a proactive approach when finding or selling their home. No smoke and mirrors or pressure tactics, just a trusted approach and commitment to be a respected consultant that positively impacts my clients' lives by helping them build wealth through real estate and to achieve their goals. I work with first time buyers, expectant parents, families, investors and those moving up the property ladder. I see beyond the paint colours and staging to find my buyer clients real opportunities and work with my team of professionals to enhance the perceived value of my seller's biggest investment! 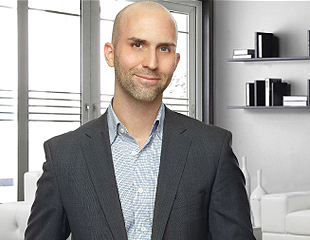 I specialize in selling classic and unique Toronto homes, condos big and small, and lofts in the downtown core, Leslieville, Riverside, Riverdale, The Beaches, Cabbagetown, King and Queen West, The Junction, Roncesvalles and High Park. I started in real estate as an investor right out of university. Young, naïve and never thinking something couldn't be done, I made mistakes, trusted the wrong people, but learned so much along the way. Through a lot of sweat equity, creative negotiation and being able to identify good opportunities, I succeeded in building a large real estate portfolio. Unintentionally my hobby became talking to people around the water cooler about real estate as they looked for advice and guidance. After five years of working for both the Ontario government and City of Toronto in the Housing and Homelessness sector I decided to turn my passion for real estate into a full time career and become the real estate agent I wish I'd had during those early days of investing: No Pressure, Straight Forward Advice and No Hidden Agendas. Throughout my real estate career, both as a property investor and Real Estate Broker, people have relied on my experience and guidance. It's my responsibility to make sure they're making good decisions every step of the way. I'm a perfectionist who pays close attention to the details with the objective of earning the trust of my clients & positively impacting their lives by helping them build wealth through real estate and having fun along the way! You as a potential client and friend will appreciate my negotiation skills, dedication, straight forward advice and No Pressure Tactics. I welcome you to contact me if you would like to discuss how I can best assist you with your real estate needs. There's no bad questions when it comes to Real Estate and it's your biggest investment so make the extra call!